In order to occupy some of my time whilst waiting for the safe return of my cylinder head I thought I might do an engine build thread. A couple of years ago I had the pleasure (some might say "misfortune" ) to rebuild a Lotus Twincam as part of a Westfield SE refurb. A steep learning curve that was, let me tell you. Ultimately satisfying though. Back in the present day I find that the "engine build" itch needs scratching again, the subject this time being a 3SGE Rev3 16V motor for my Spyder Silverstone. The car's present motor is stock internally, the only mods being a stainless 4 into 1 exhaust and GSXR1000 throttle bodies. It's not far short of 200hp with acres of midrange torque and moves the car along quite nicely. Almost too nicely. The way it pulls from nothing is amazing. This, together with closely spaced gearbox ratios makes for rapid progress without the need for redline shenanigans. The 3SGE does love to rev but it's easy to get lazy with so much "area under the curve". So the plan is to subtly alter the characteristics. Not too much but enough to notice. 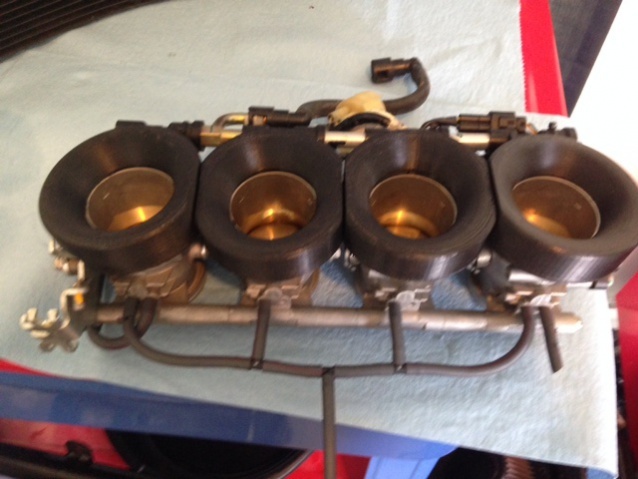 When I fitted the throttle bodies the difference was very noticeable. 16-18 ftlbs across the range. I'm aiming for a similar improvement with some internal mods this time. I'm not chasing for maximum bhp. Somewhere approaching 220 area would be great, hopefully with only a little loss of torque low down. The new CATCAMS cams are a 269/260 high lift grind, specced with the help of Karl Norris. The block is decked and bored +0.5mm and uses OEM pistons and rods, these being well capable of 8K revs. The rods have been fitted with ARP bolts. 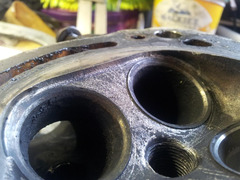 Compression is up to 11.4 and the cylinder head is being cleaned up by my chum, Peter Burgess. 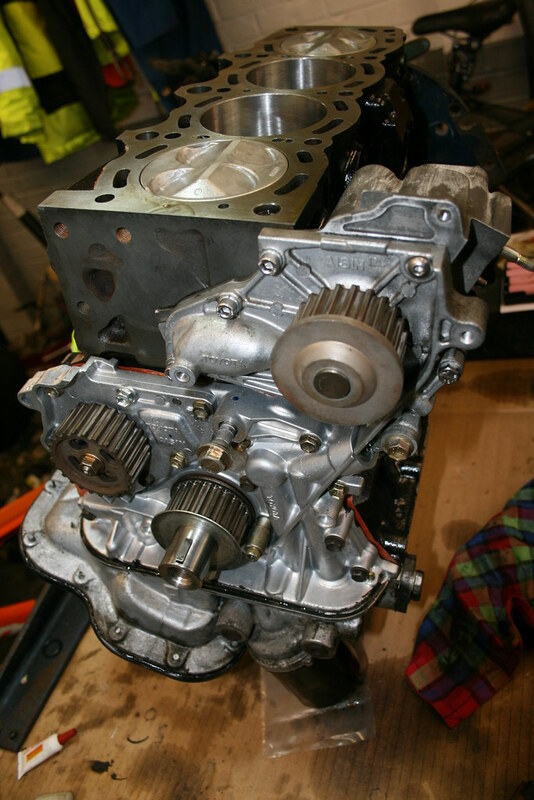 I have built the bottom end together with a new oil pump and am now waiting for the head. 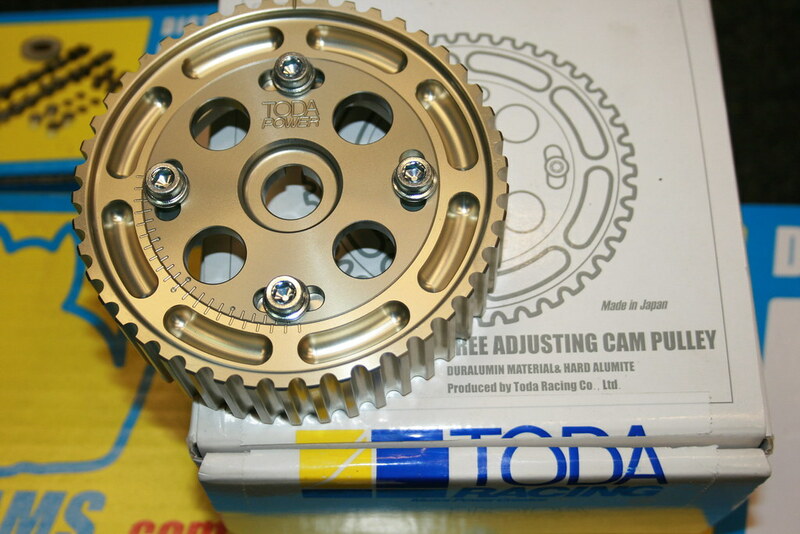 I'm not normally one to succumb to "bling" but I couldn't resist the lure of the TODA cam pulleys. I've picked up a lightweight FIDANZA flywheel too. This will take a standard Turbo clutch which should be fine. I was cautioned by Karl that the present 42mm ITBs might be restrictive at high revs and that bigger ones will help realise the full potential of the cams. To that end I have bought a set of Hayabusa 46mm ITBs. Joe Gibbs Break-in Oil will be used followed by Redline with lots of ZDDP. Here's hoping it all goes to plan. 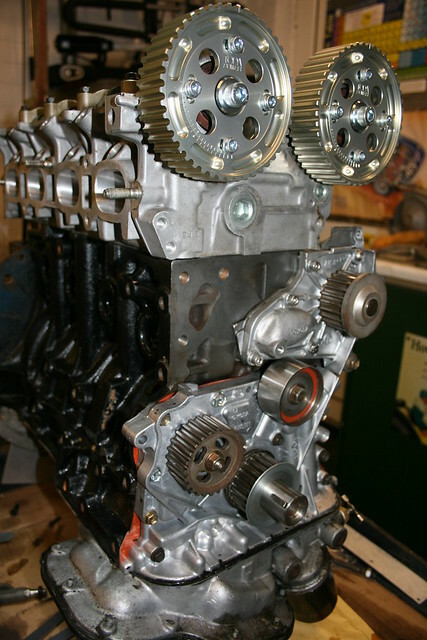 Did you do any crank/bore work? I'm currently looking to rebuild my 3SGTE but the stock specs seem to be ludicrously tight (most engine builders say they'll ignore the OEM specs). Report your local potholes, it actually works! Hi there. I measured the crank to be well within spec on all journals so I just had it lightly polished and refitted it with aftermarket bearings supplied by Sean Hurley. 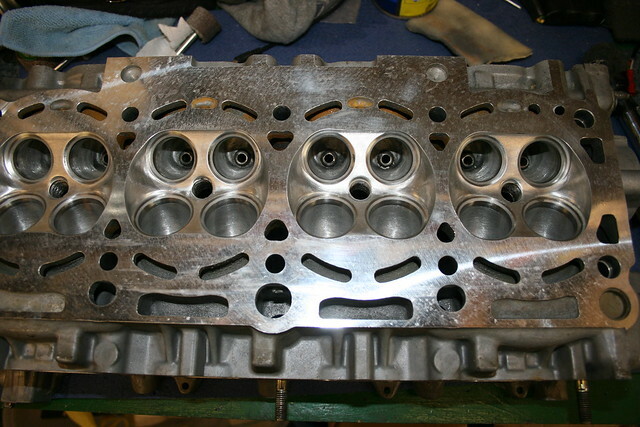 The block was rebored to +0.5mm to suit oversize OEM pistons. These are the reason for the ridiculously tight bore clearance spec. Eight tenths of a thou if I remember correctly. 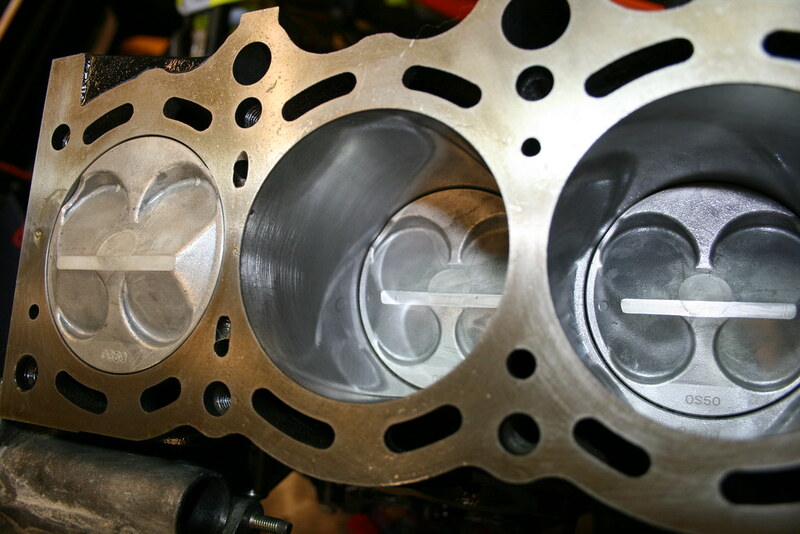 The OEM pistons are of the HYPEREUTECTIC type which basically don't expand. I quizzed Sean about this and he said they normally add another half a thou for a road engine. A lot might depend on whether you are going to use OEM pistons or aftermarket. A forged piston will deffo need more clearance. If you are sticking to standard stuff then don't get tempted to pay for any balancing work. I had the whole bottom end balanced including the OEM flywheel. The crank came back with one, absolutely minute extra dimple. Likewise the flywheel. One tiny correction. Not worth bothering. What does your proposed spec look like? I'm on a Gen2 GTE (ST185 engine) so my OEM pistons are not hypereutectic unlike the gen3 but are also not forged, they're some cast halfway house. My basic spec is a standard bottom end with modified stock pistons (I fancied trialing some gas ports and anti-knock features for giggles) but next to nothing removed. The reason for rebuild was a cracked ring land after a timing sensor failure, on stripdown I found the mains had been oil starved at some point (I know the point, it was run for 2 miles with no oil about 20K miles ago after a paused oil change !) so it's going to get a re-grind on mains and big ends, some new bearings (not chosen which yet) and possibly bolts. In the same process I found it had a dodgy head rebuild by the previous owner (seats protruding into the chamber with sharp edges and the cam journals scored) so I picked up a gen3 head and gubbins for a swap. It always was very prone to knock at levels that other cars seemed happy at, this confirmed why. At the same time I've picked up an Eaton M62, and I'll be building a chargecooler plenum, then feeding the eaton from a Gen3 "CT20B", but 750cc injectors and uprated fuel rail. Compound charged, compound chargecooled. My chargecooler pre-rad is an Audi 100 main engine radiator! I'm like that. People think I'm mad. bellmouths for the throttle bodies. I'm looking forward to you adding to this, should be interesting to watch. I found shapeways pretty good for printing but a) you're not learning and b) it's going to be pricey for items that big. The 'Busa bodies will need quite a bit of work. They have an oversize offset flange on the output end. 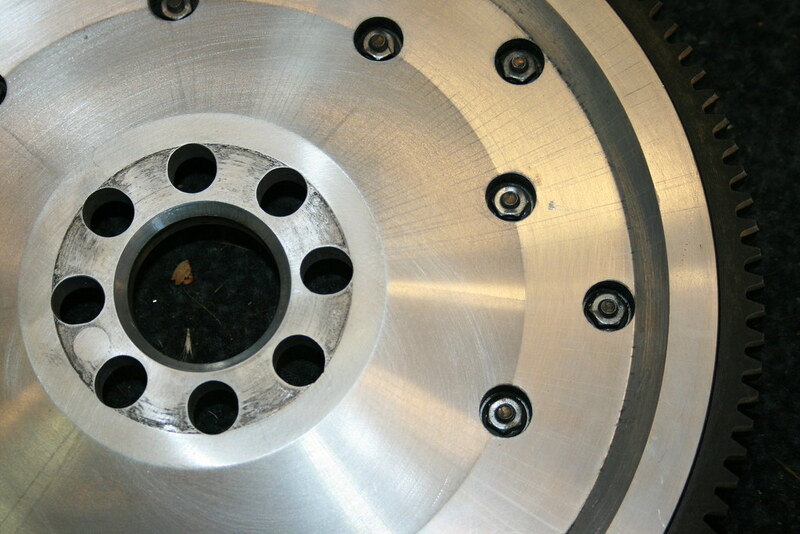 This will machined off to give a flange concentric to the bore itself like the existing ones are. Despite the 'Busa bodies being nominally 46mm this is only the size of the butterfly. Downstream of that they taper to 42mm at the end. I am going to bore this taper out as much as possible but 44-45mm may be the limit. It turns out that there was no need to machine off the offset flange after all. All that was required was a set of original mounting rubbers. I have been on the miller though. The bodies are bored to 45mm, the biggest I dare go to. Well at long last I've got the head back. Valve sizes are standard but it has been "cleaned up" to remove any casting irregularities and the critical throat areas have received some attention. Final job was a 16 thou skim, which, together with a similar skim to the deck results in a 11.4 to 1 comp ratio. 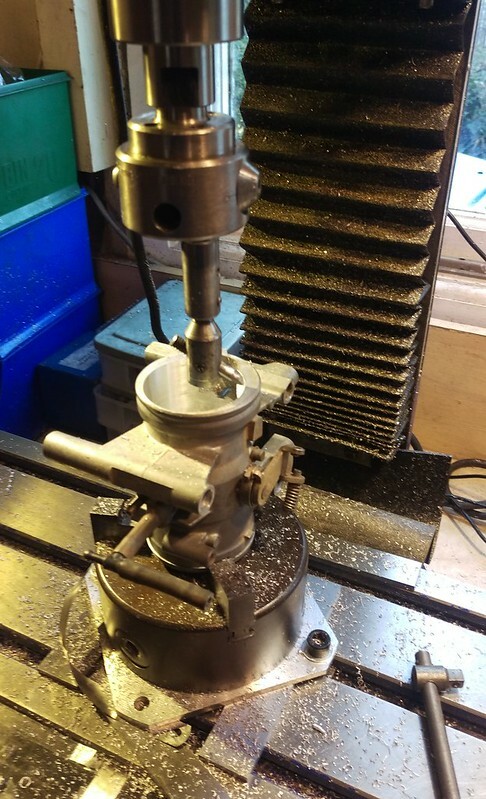 There now begins a lengthy list of checks, mostly to do with the fitting of new high lift cams... piston to valve clearance, valve collet to valve guide clearance, etc. 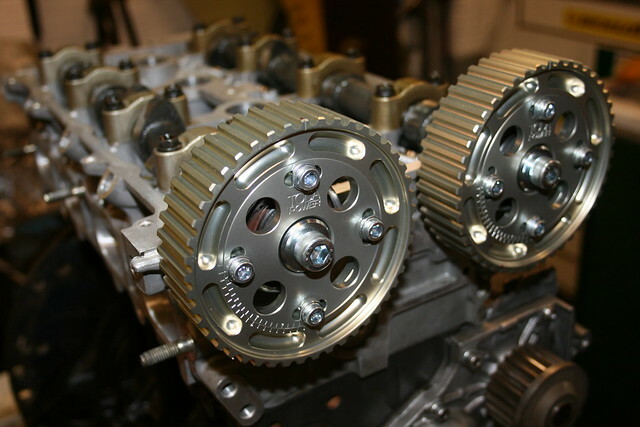 followed by a trial build to set the cam pulleys. This will be done with just one inlet and one exhaust valve and a pair of weak springs. Final build will follow over the next week or so. 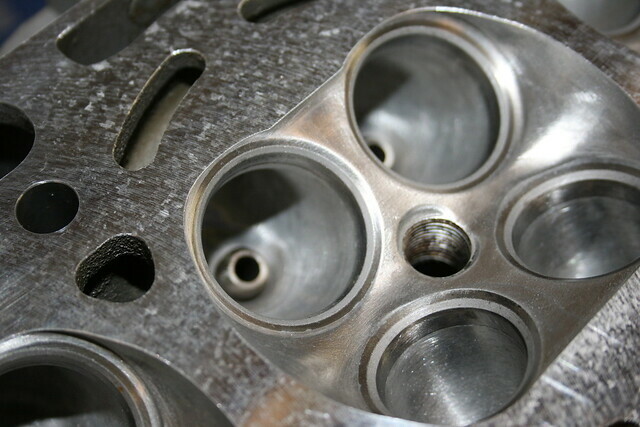 Today I have been port matching the inlet gasket and lapping in the valves and enjoying myself immensely! ^^^^^ Good advice. Thankyou. I'll try the leak test using acetone. I had a minor scare today when trial fitting the (expensive) new cams to explore any clearance issues. The exhaust cam was locked solid. I had fitted one bearing cap the wrong way round! I have the same engine in my F-Fury. It has oil pressure issues. Takes to long to build pressure from startup. Oilpickup pipe, sump clearance etc is fine. Lookes like all the oil from filter leakes back in sump when off/standing stil. Is there a non return valve somewhere? Last owner renewed oilpump so schould be OK.
Hi Marc. Genuine Toyota oil filters have a non-return valve built in. So do some aftermarket filters. Is your filter on the side of the block? 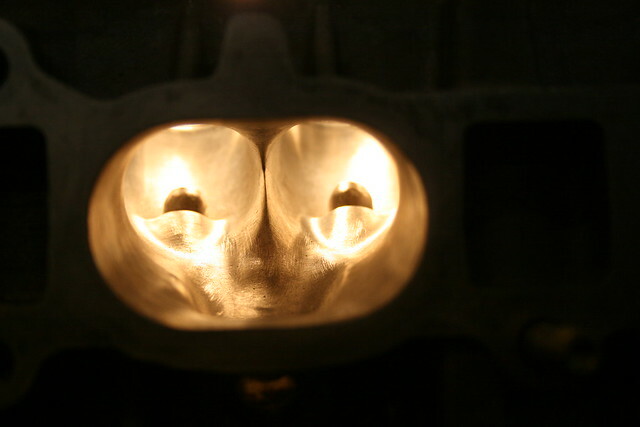 My engine (REV 3) has the filter low down at the front of the sump. yes its on the side of the block. Filter is horizontal, but a little tilted so it leaks empty when stopped. Tried different ( aftermarket) filters, have to get a oem one and have a look. Even with cheap filters my 3s would clear the low pressure light within half a second, and that's with gubbed mains and big ends. It would, however, when hot hot, drop to 10psi at idle. Toyota has a min oil pressure setting of 4.3psi to light the oil light. A little more progress has been made. The cams are now installed which offers me the perfect photo opportunity. My new mini alternator had arrived. It is of the "Kubota digger" variety and is tiny.